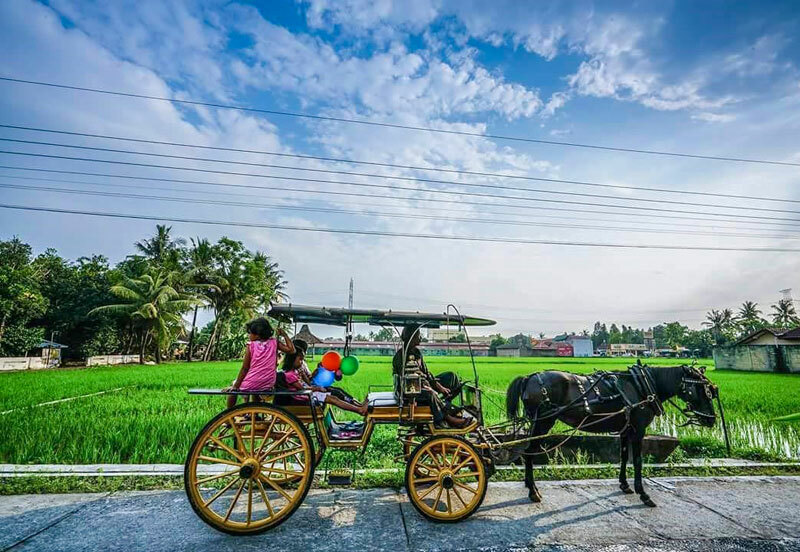 From world-renowned cultural trails to stunning natural wonders Yogyakarta has so much in store for culture lovers to adventurers alike. 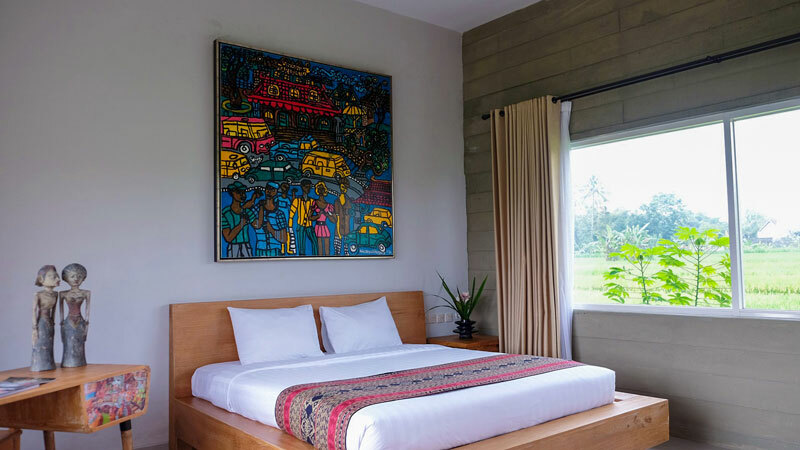 But what’s even better is that accommodation here doesn’t cost a bomb – you can fork out the price of a budget hotel in Bali and get one here that comes with a stunning view of the Jogja landscape, directly from your room! Sunset over the mountains and the lake? 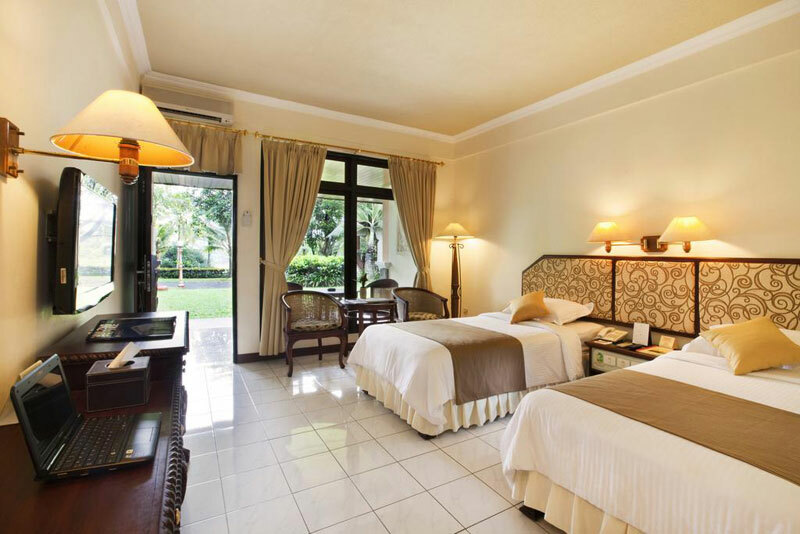 You just need to take your pick from these affordable hotels in Yogyakarta, and relax in comfort and luxury. 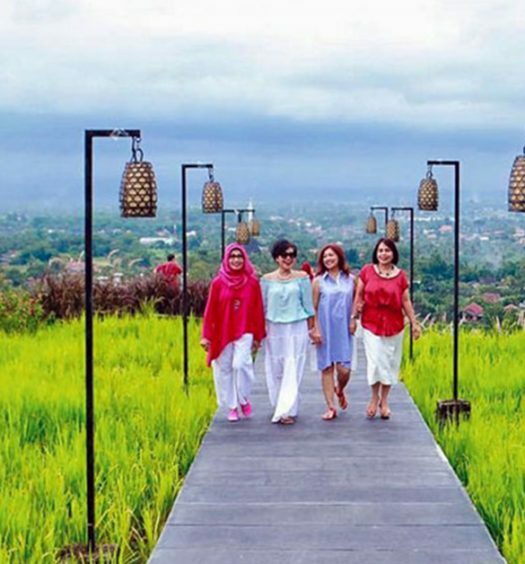 Feast your eyes on the beautiful panoramic views of Magelang, the closest city to Borobudur Temple. 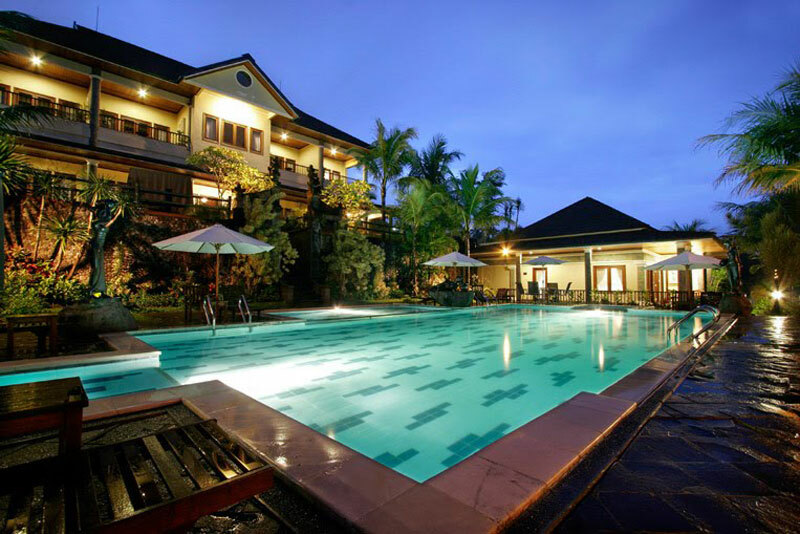 Magelang is full of scenic views and right in the heart of it is the secluded Oxalis Regency resort of the dreams. 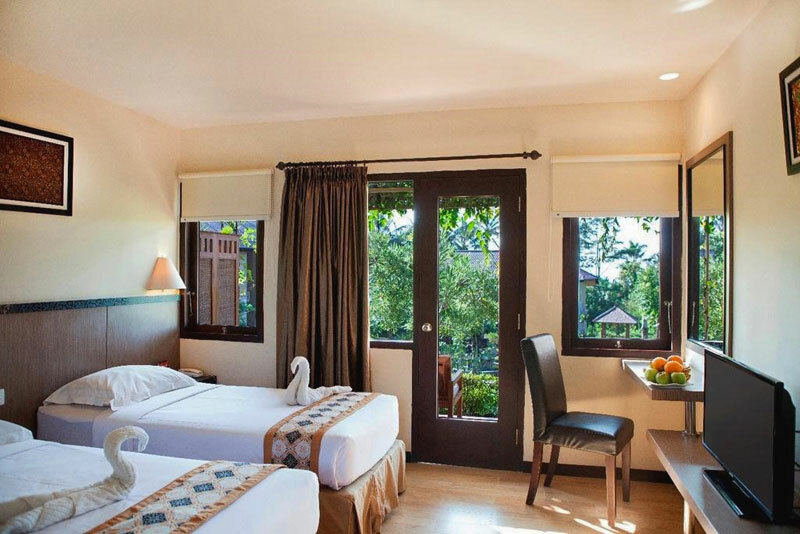 All rooms come with extraordinary views, but we recommend requesting for one upstairs or overlooking the West side, which by far boasts of the best views the hotel has to offer. 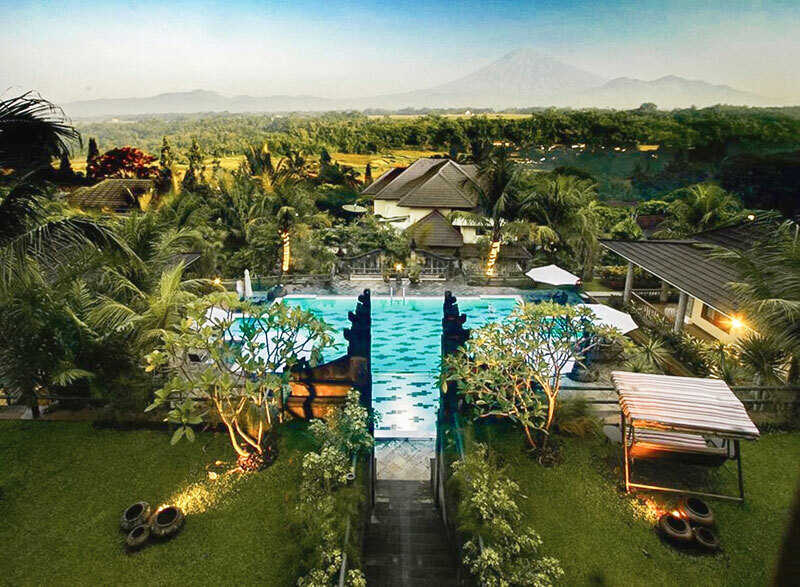 Spend your afternoons watching the sun set over Mount Sumbing or take a dip in the pool while basking in the lovely view. 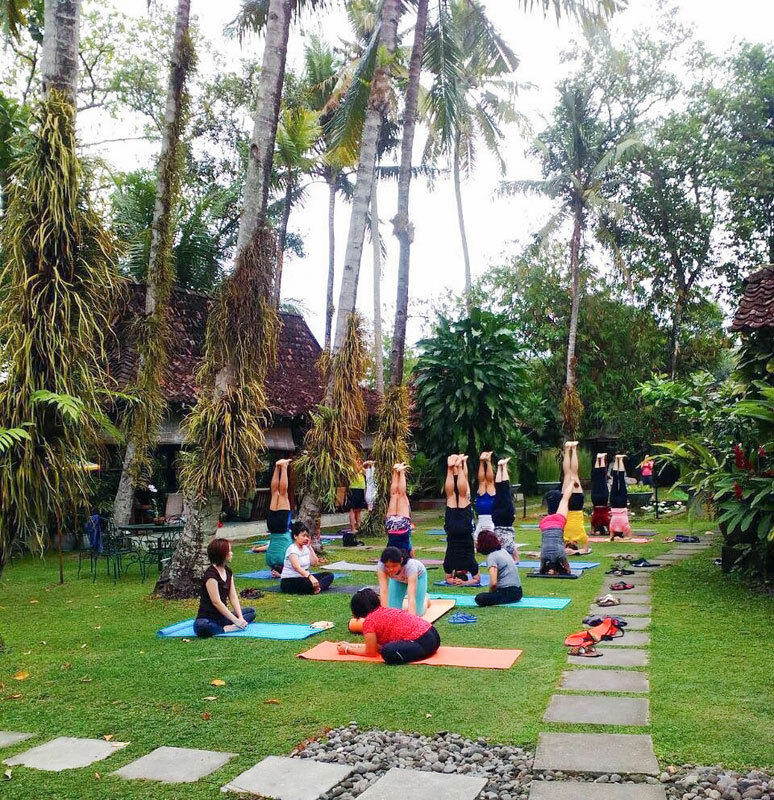 Looking for some respite from the maddening city life? 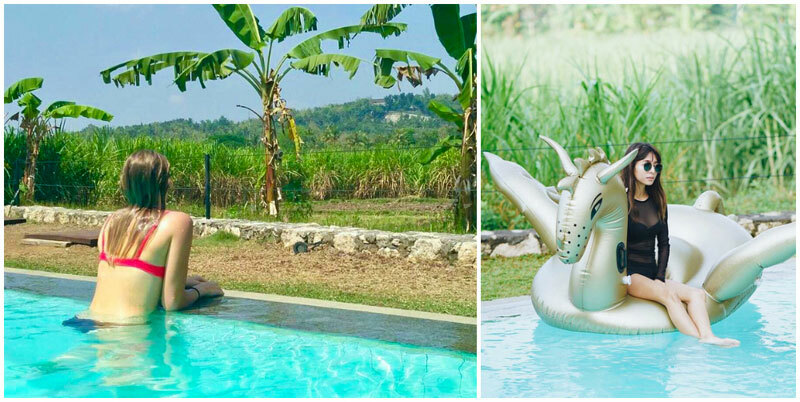 Tucked away on the foot of Mount Merapi, Sambi Resort Spa is a dreamlike resort that’s perfect for people who can’t stand Yogyakarta’s scorching hot weather. 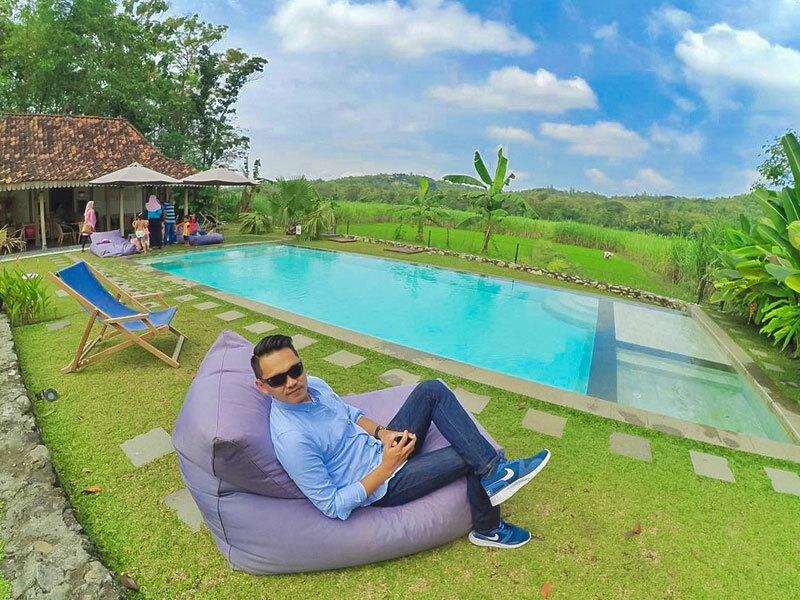 This extremely peaceful resort and its idyllic setting is your best choice if you want to disconnect from reality for a day or two. 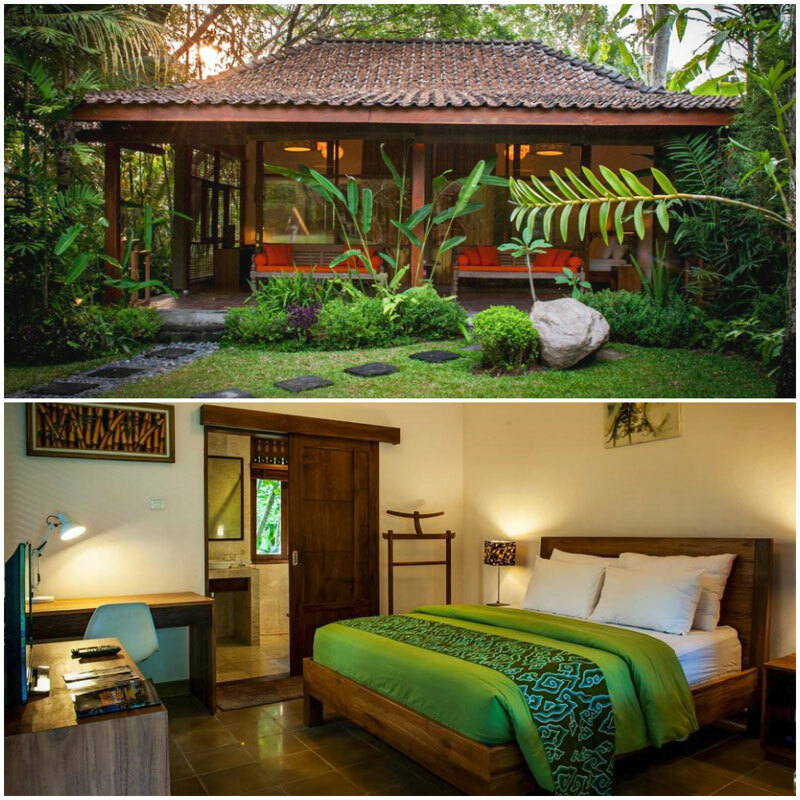 The rooms here are specially-designed bungalows, separated by the resort’s exquisite garden. Stressed out? 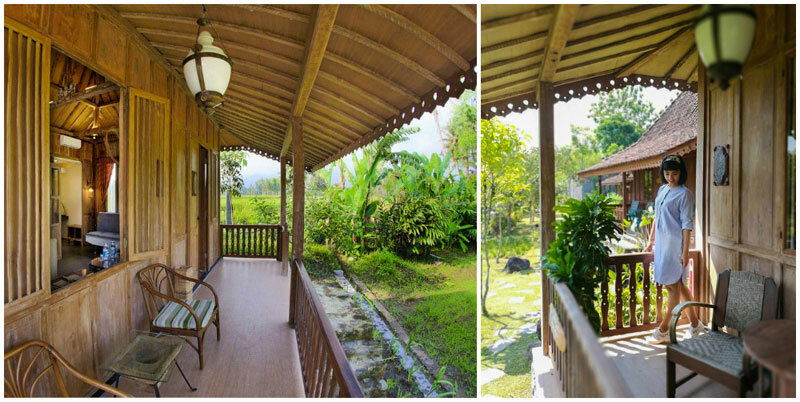 Discover the relaxed life as you take a short stroll in the peaceful grounds and breathe in the chilly mountain air. 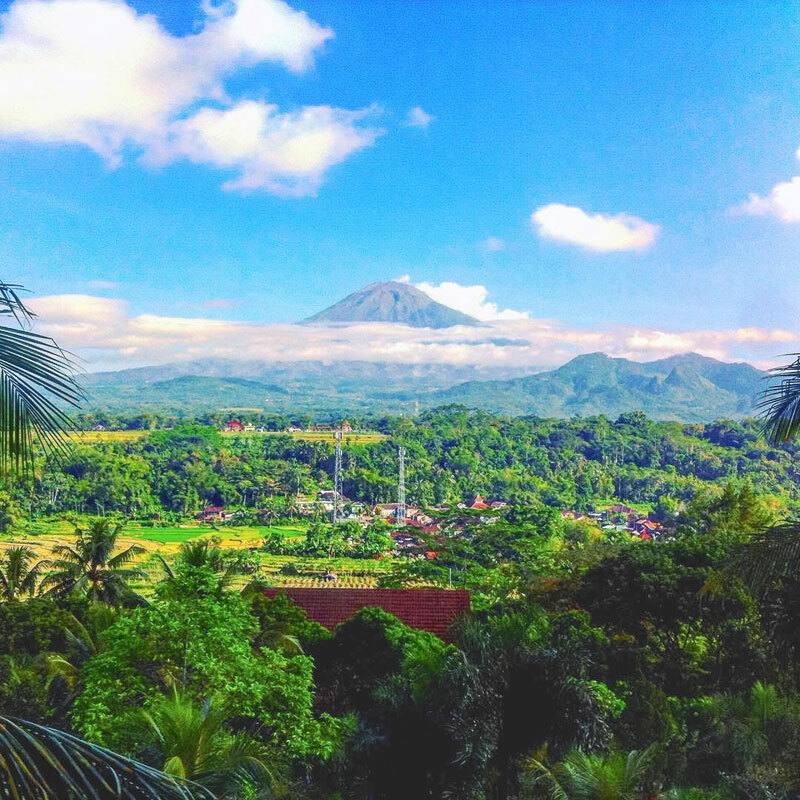 While indulging yourself with the resort’s breathtaking scenery, don’t forget to salute the majestic Merapi that stands tall in the distance. 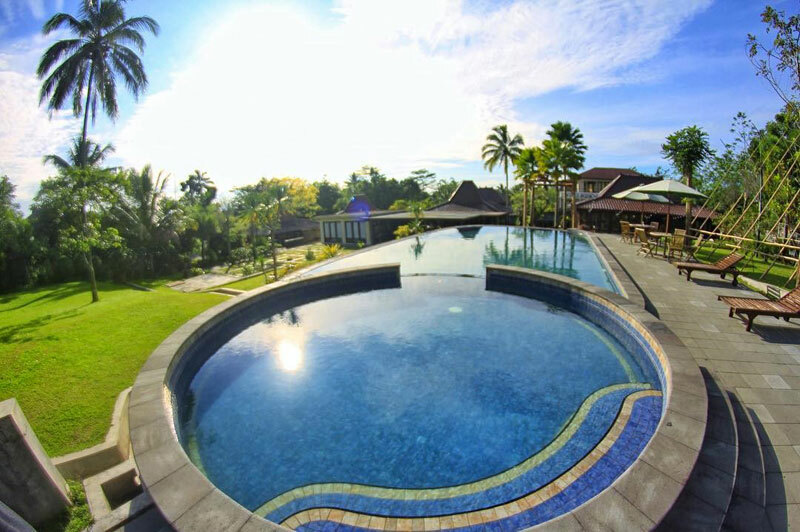 To spoil you even further, top-notch facilities such as a golf field and spa centre are provided to ensure that you have a perfect holiday. It’s going to be hard not to when everything screams perfection. 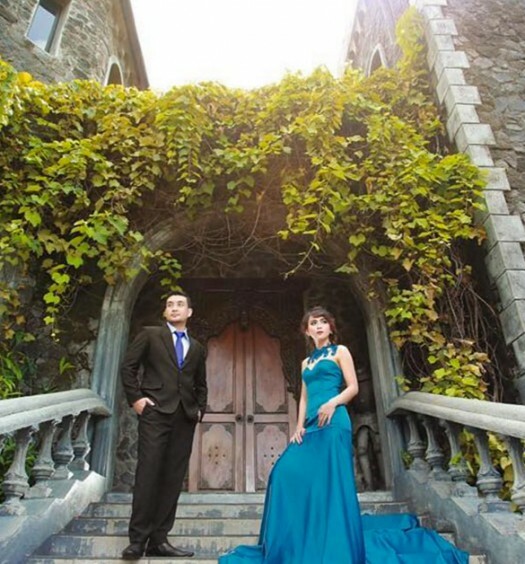 Natural beauty meets tradition meets great city location – that’s Westlake Resort for you! 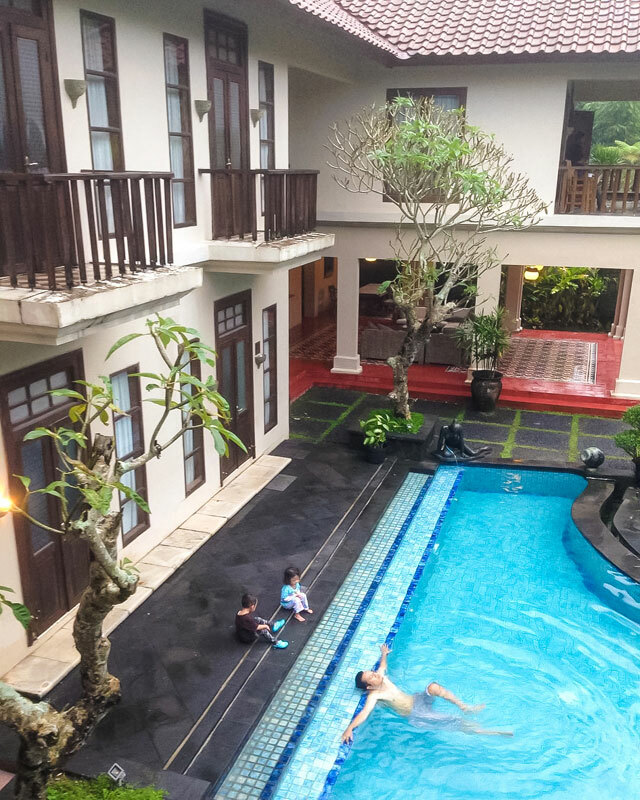 Get quick access to this hotel from downtown Yogyakarta – you don’t even have to venture far off from the city to enjoy the amazing views. 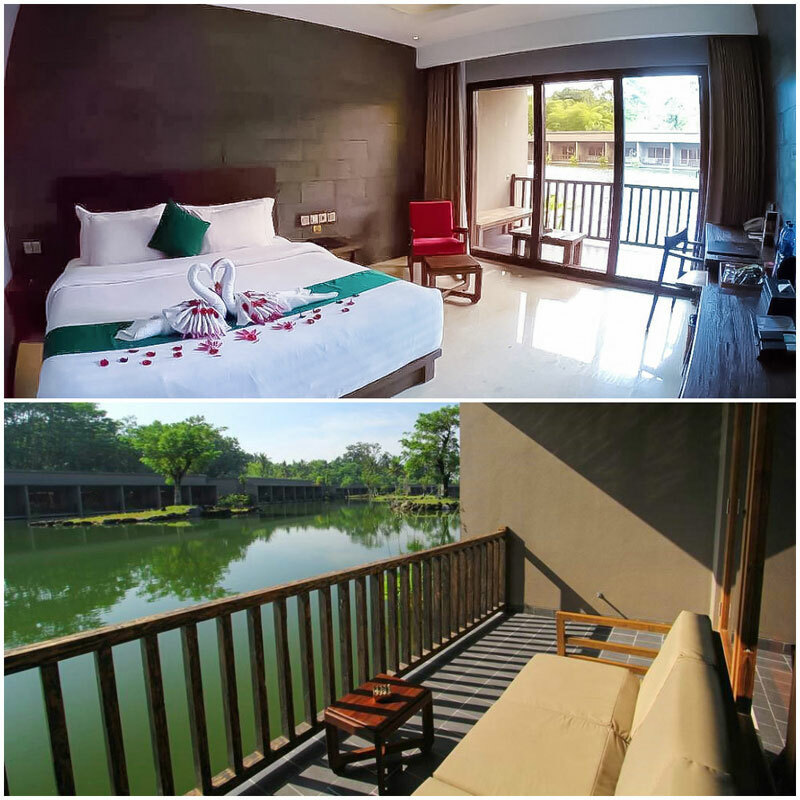 A stunning lake right in the middle of the rooms and stretches of rice fields surrounding the resort will keep you in tune with nature. 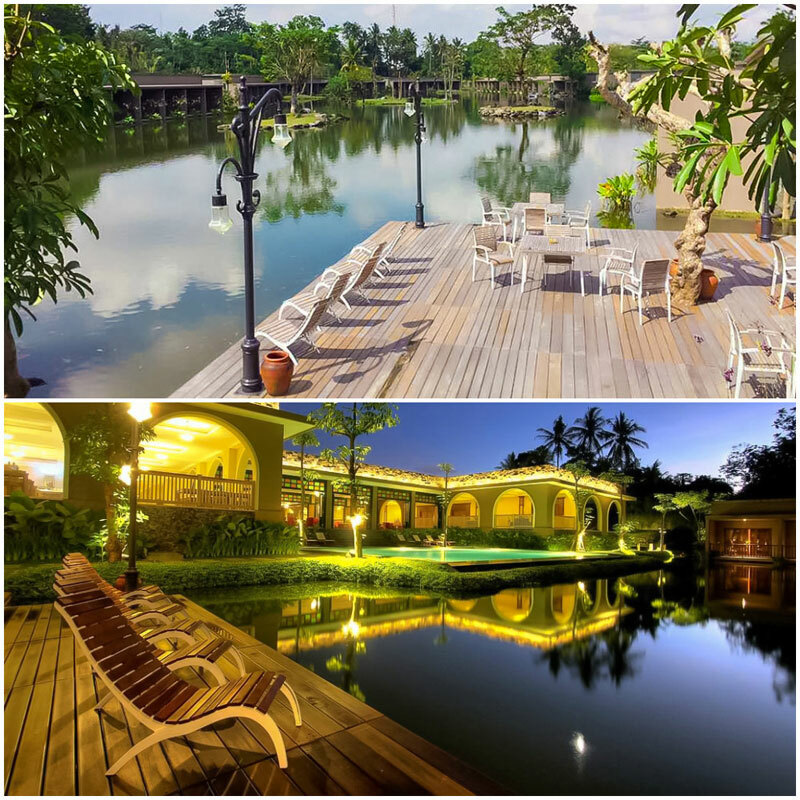 Bask in the rustic feel, modern Javanese architecture fused with a blend of colonial style and relish simple activities like fish feeding by the manmade lake. 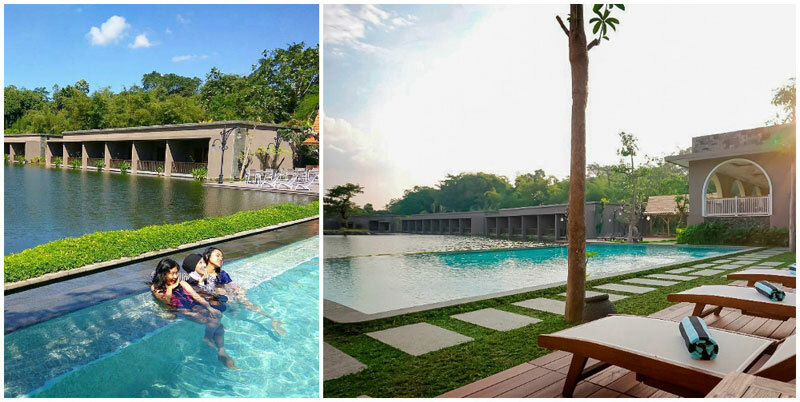 Take a spin on the rented bikes, swim around in the pool or simply watch the golden sunset over the lake. Is this Yogyakarta? 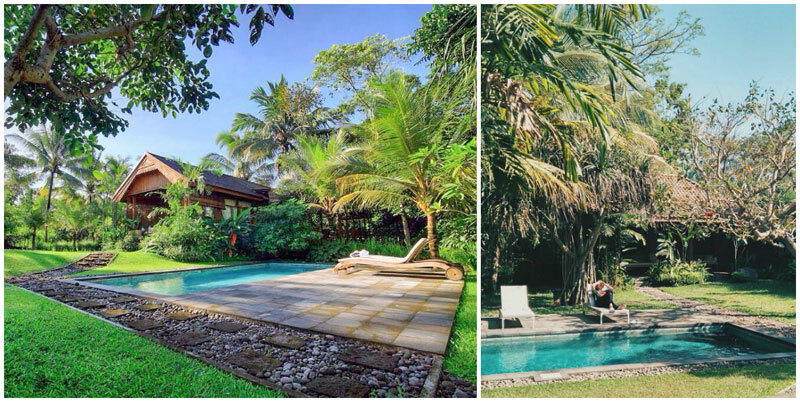 Or are you in Bali all over again? 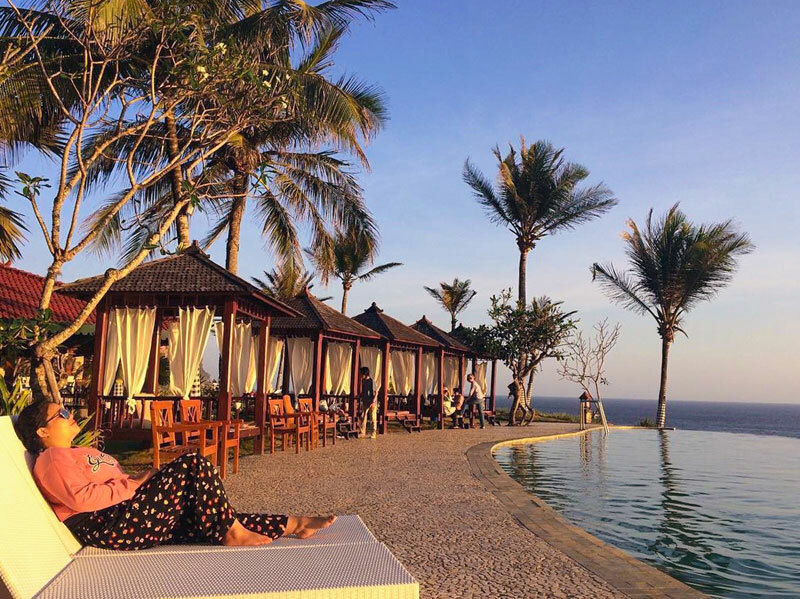 The pictures taken here will confuse your followers on Instagram, because it feels totally like Bali – the stunning views of the Indian Ocean, the turquoise swimming pool overlooking the beach at sunset… All these luxuries will take you right back to Bali. 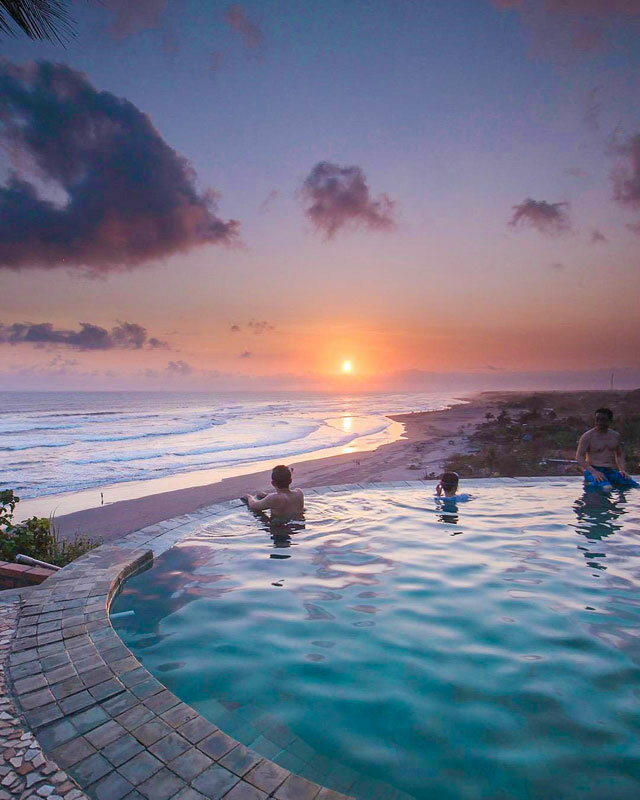 In fact, you don’t even have to leave your room to watch the sunset! 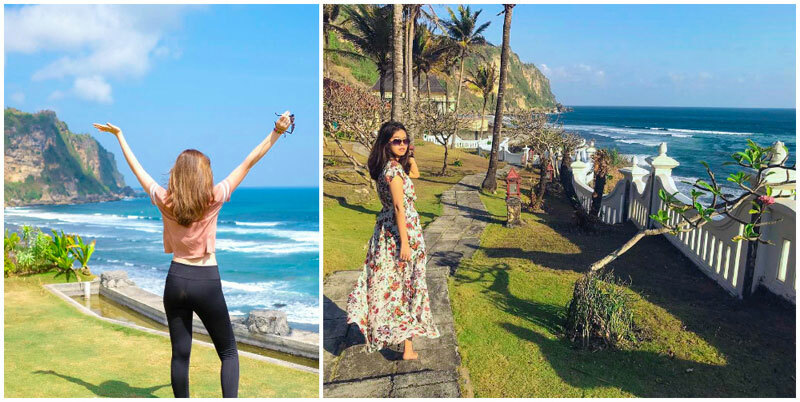 If you are in the mood to explore a bit more, and seriously missing the Bali beach vibe, hit Parangtritis beach, which is just 2.5 kilometres away. 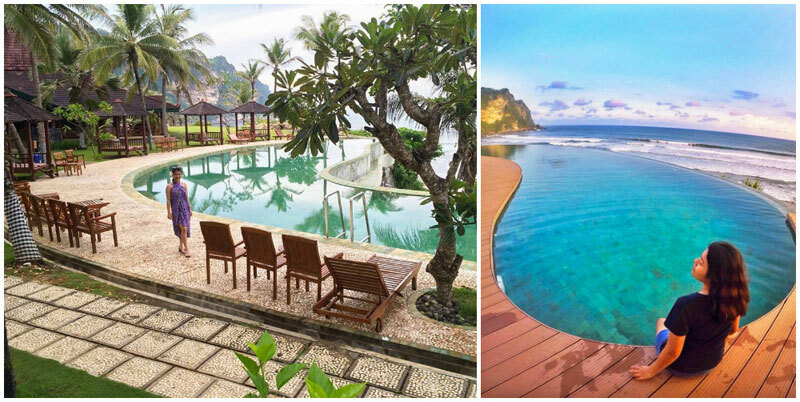 It’s no wonder that this resort is often called the queen of hotels on the southern coast of Java! 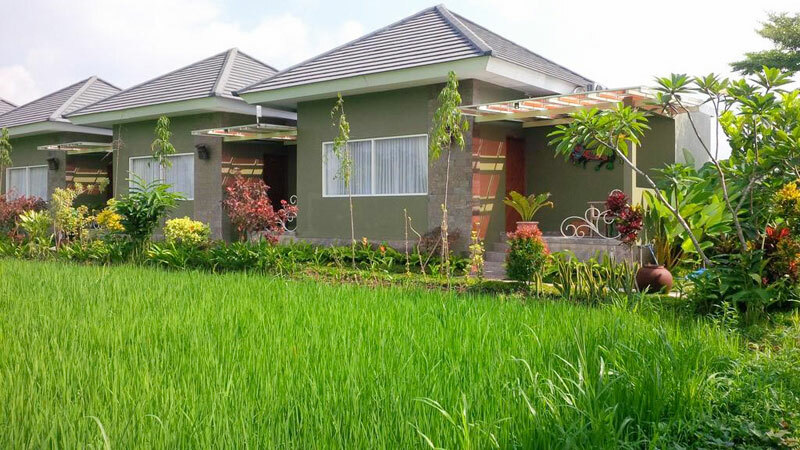 Want a comfortable stay among the lush green rice paddies? 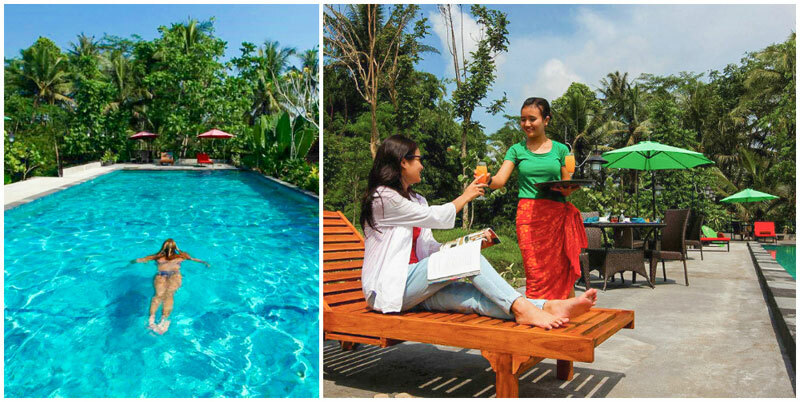 At Blue Garden, you’ll get a taste of the beautiful countryside. 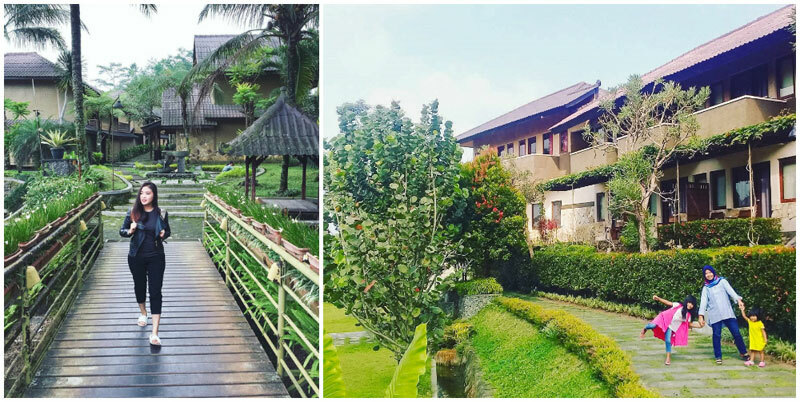 This delightful resort in southern Yogyakarta (and only 8 kilometres away from the famous Malioboro Street where you can do all your shopping) allows your eyes to take a restful break from the hectic city. 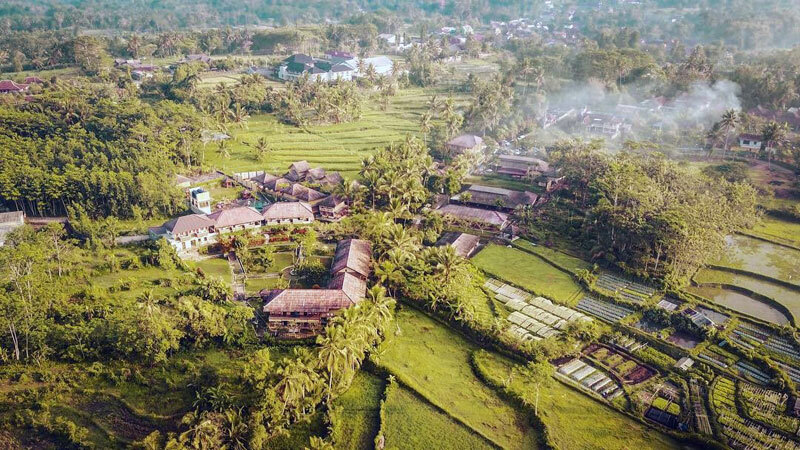 And the best way to detox from the city’s rush is to take it slow and enjoy the lush greenery of the rustic fields all around you. 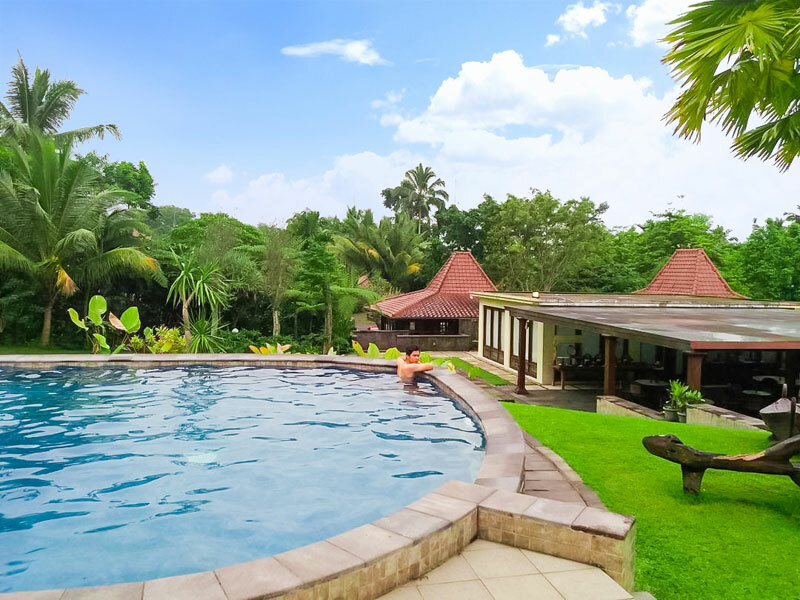 Lounge by the pool and watch the locals go about their daily lives or spend a lazy afternoon sipping on fresh drinks from the poolside bar. 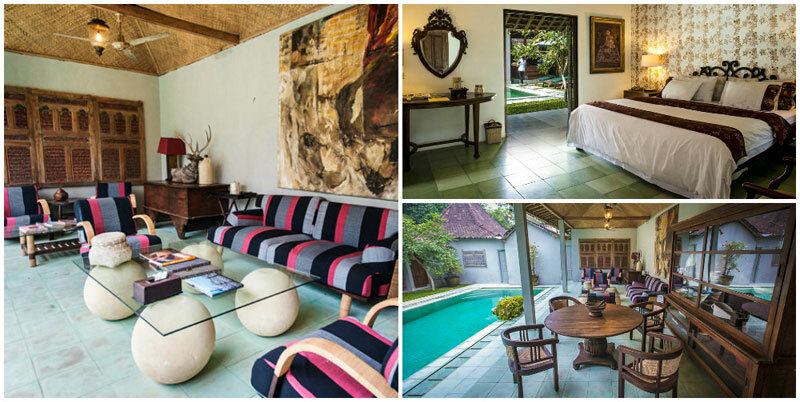 Take a trip back to the old Javanese days and immerse yourself in the local culture at Joglo Plawang Boutique Villa. Here, you’ll find yourself among the mountains, in a cooler climate away from the crowds and madness of modern civilization. 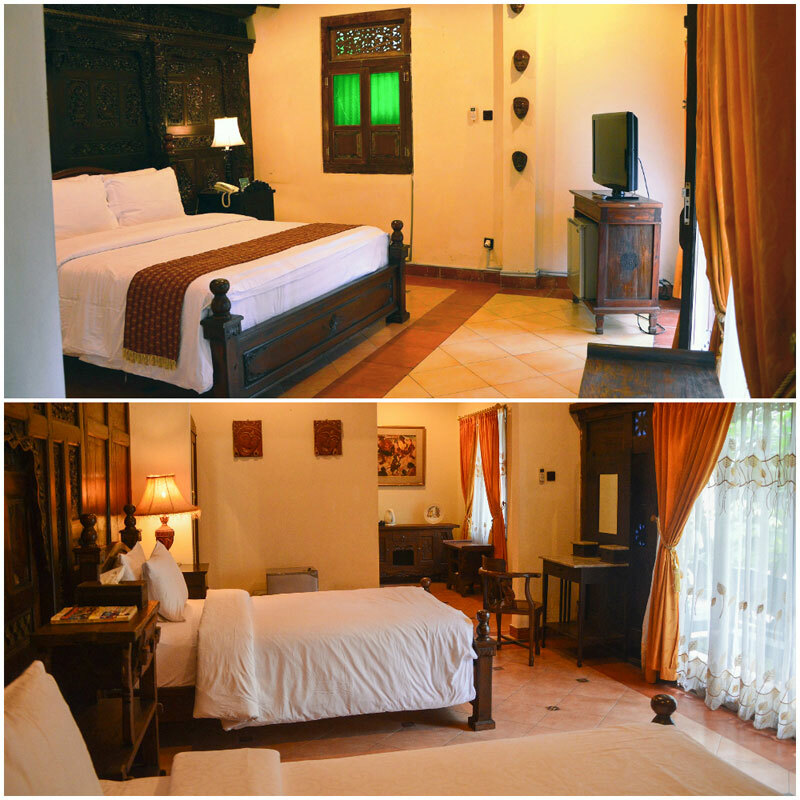 Each room in the Joglo has its own unique charm and a touch of tradition, decorated with regal wooden furniture and Javanese accents. It might feel like the world has slowed down in the old world charm. 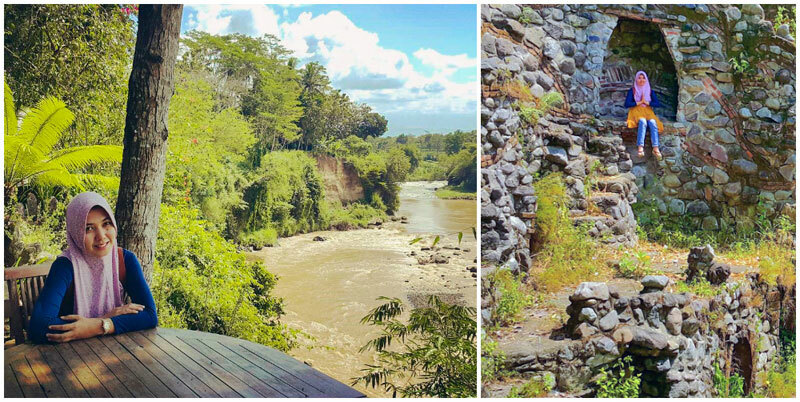 Meanwhile, you can make the most your time with some relaxing spa time, and you can even enjoy spa right beside the river. It really doesn’t get any closer to nature than this! Do you love being at home? 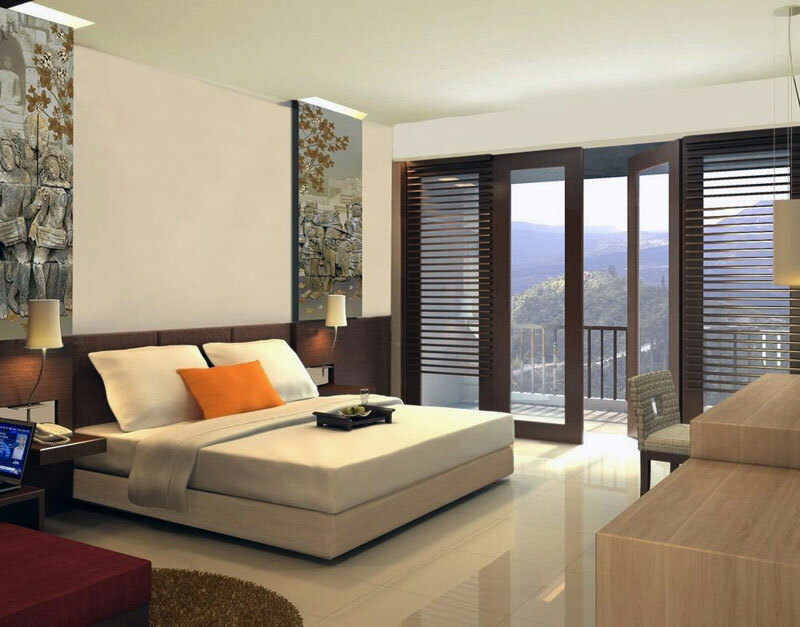 At D’Omah, you’ll feel so comfortably right at home, but with the added luxury of world class amenities. 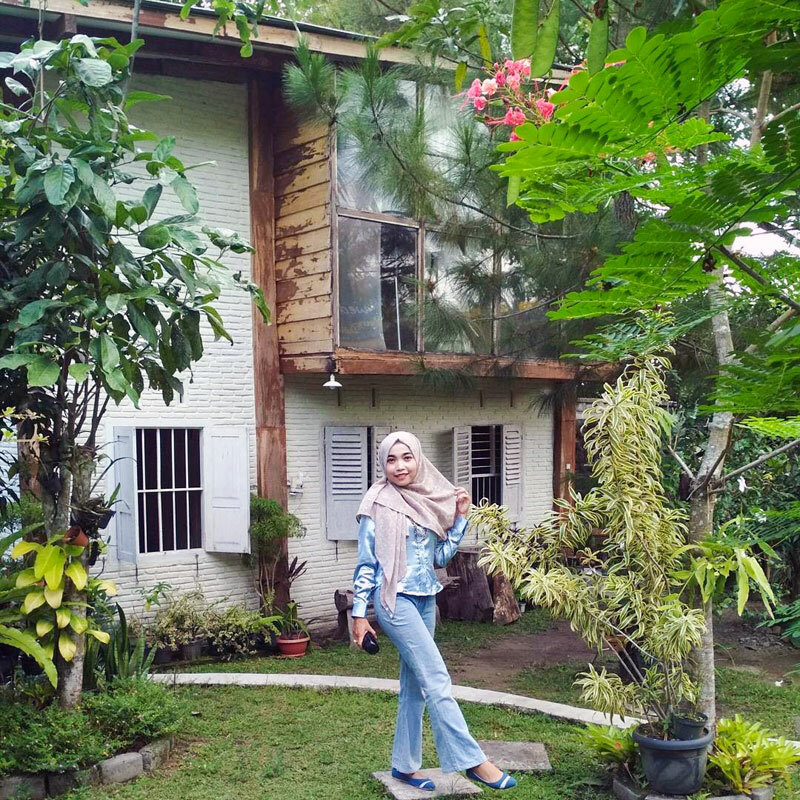 Experience the little nostalgic pleasures of an old school hometown, like the early morning call of the rooster or waking up to the prayer call from the nearby mosque – all of which you wouldn’t find in the city. 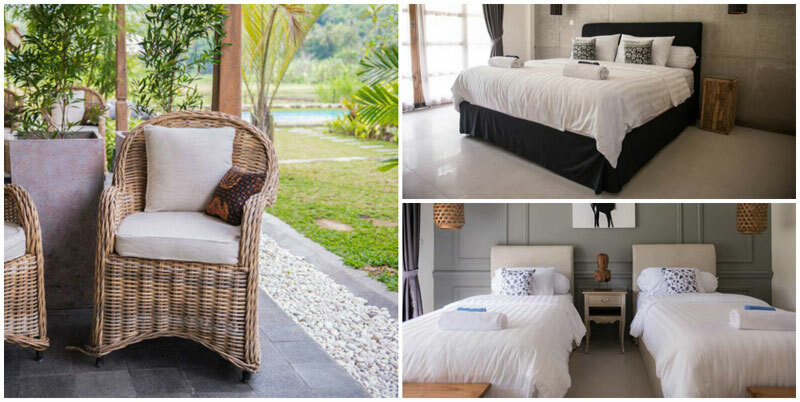 Stay in luxurious rooms – choose from the Rumah Joglo, Pendopo House, and House Camat. 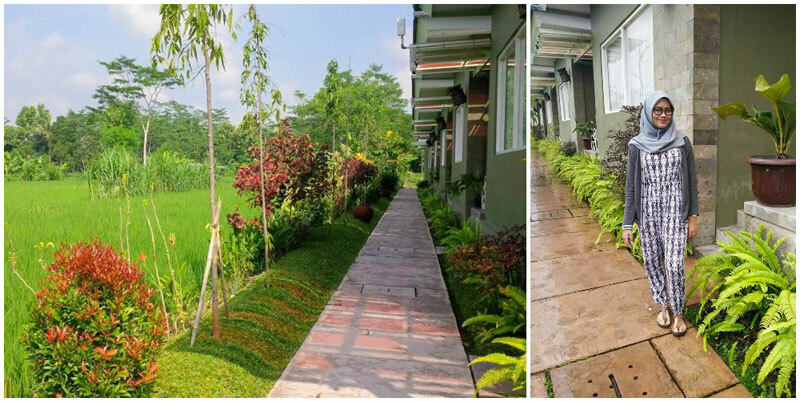 There’s also a story behind the rooms – Rumah Camat was the former residence of the sub-district head, and now it’s fully renovated and transformed into an all-amenities stay! 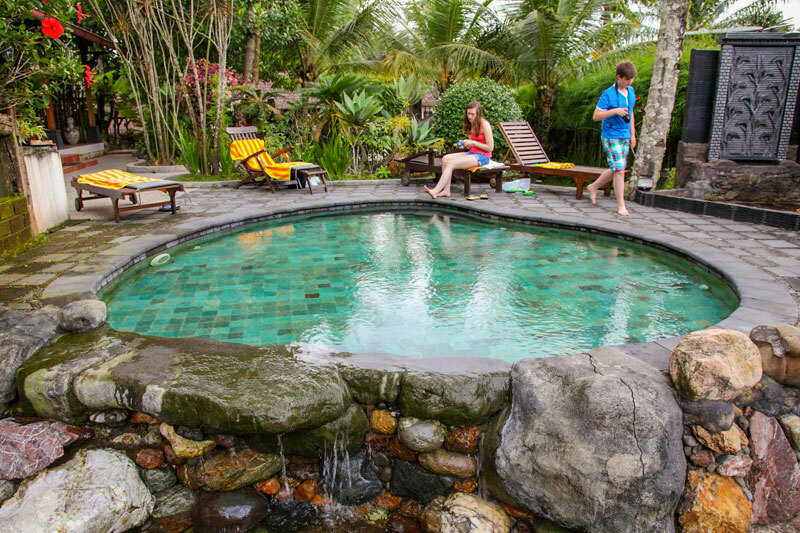 Soak in a jacuzzi, unwind at the sauna, or get a room with a private pool to enjoy pool-time all day long! A little more adventurous and much more of a foodie? 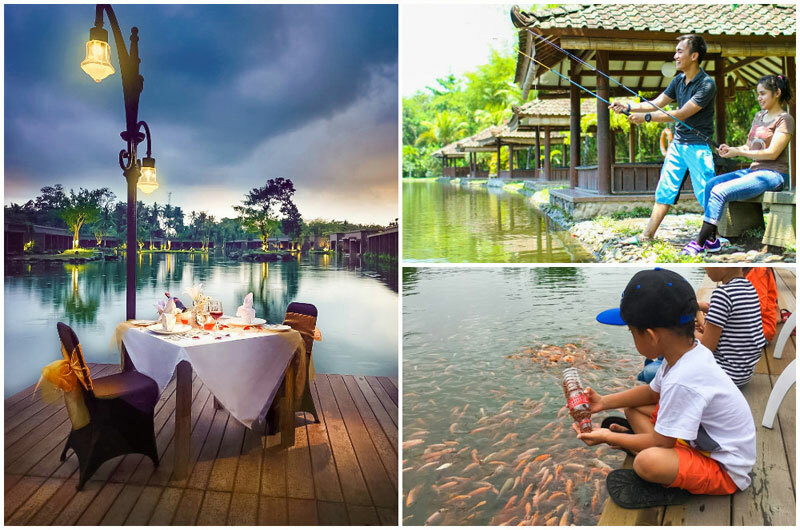 How about fishing at the catfish pond, and have your catch whipped up into a hearty, fresh meal by the in-house chefs? 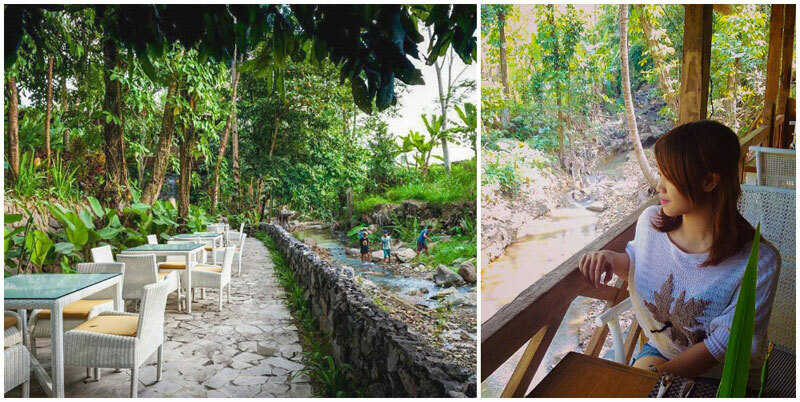 The beautiful Mount Merapi, natural landscapes, and a touch of romance in the air. 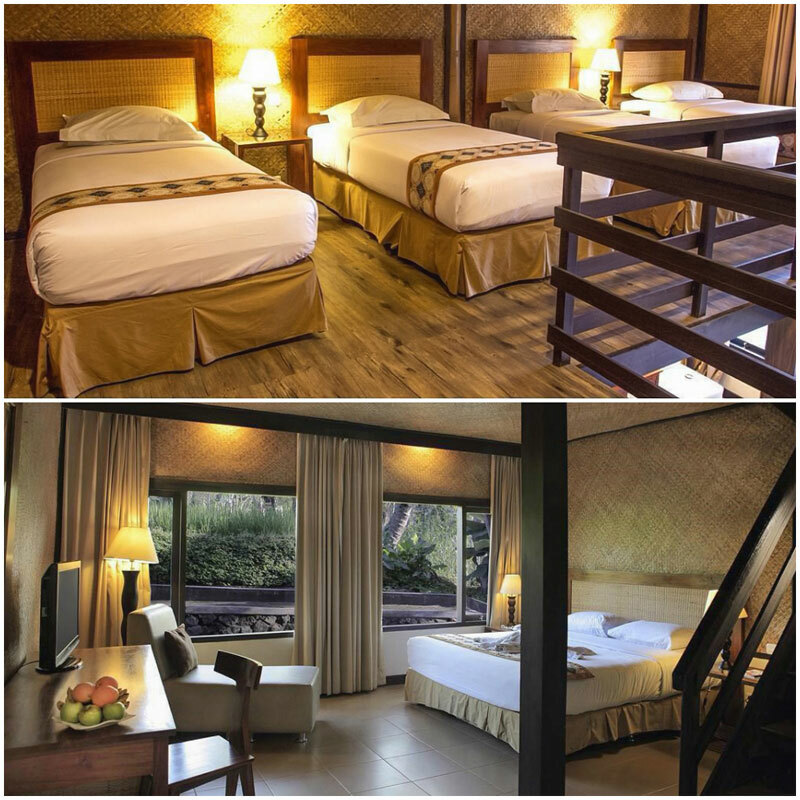 The Cangkringan Resort & Spa brings all of it together under one roof, in its cosy, subtle and sophisticated rooms. 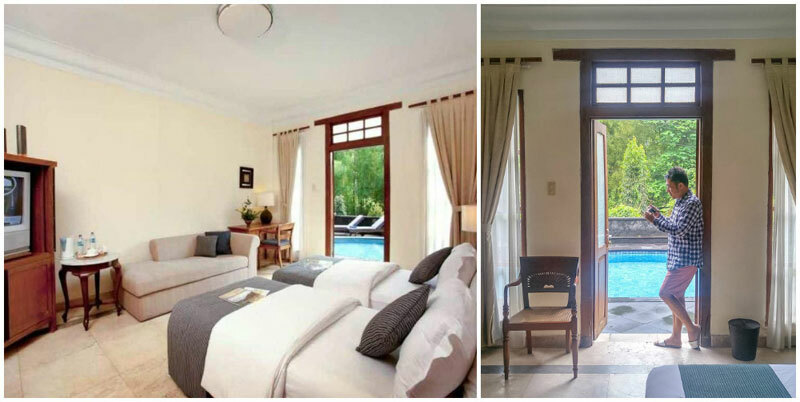 Stay in their International Standard Room in the main building or the separate villas – you won’t be disappointed by the amazing views at both! Spin some clubs at the golf course during your leisure time. 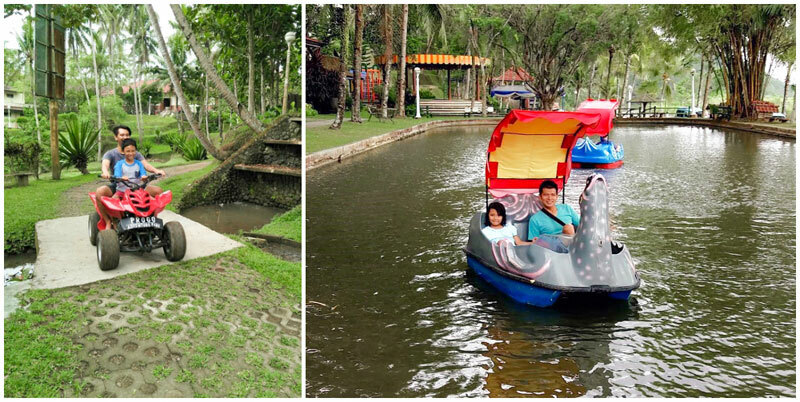 Or keep the romantic mood going at the Ledok Sambi Ecopark (also known as the lovers’ paradise in Yogyakarta), which is located near the hotel. 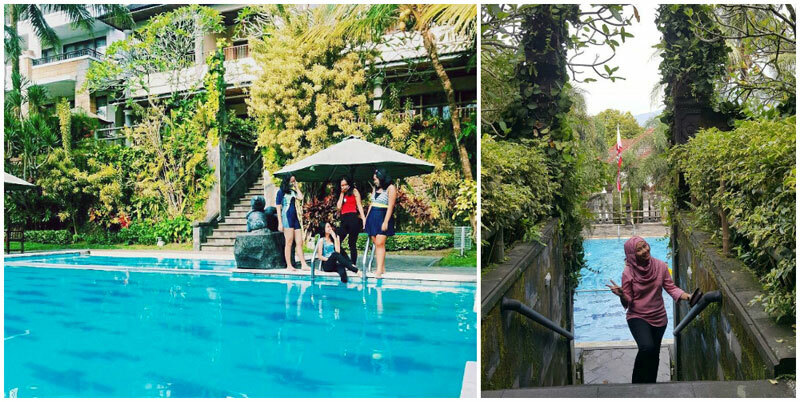 And how can we forget soaking in the pool with the mountain and greenery as the backdrop? That’s the cherry on top! 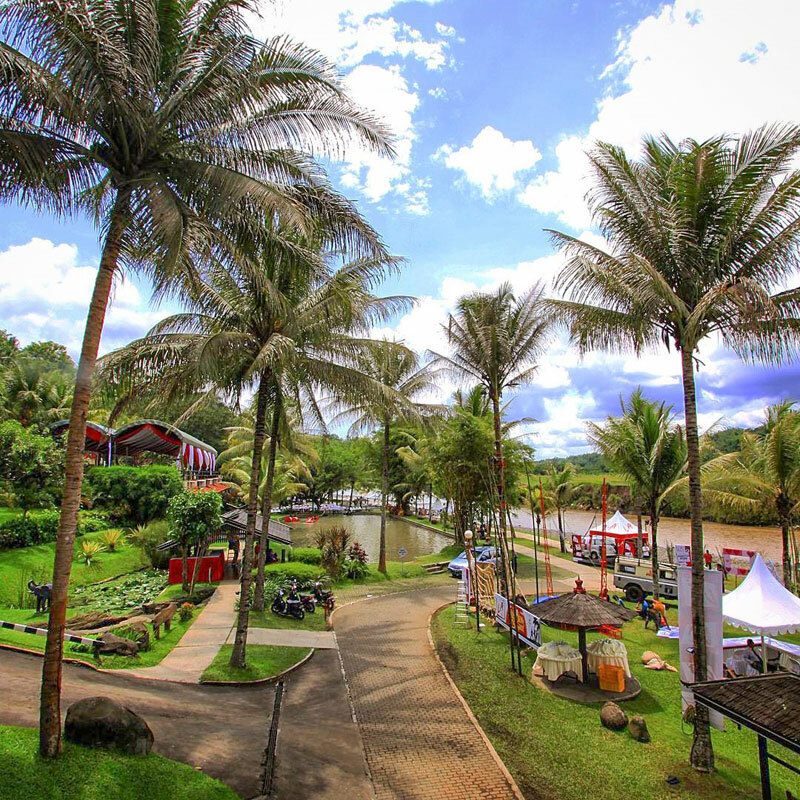 Discover a secret paradise among nature’s beauty. 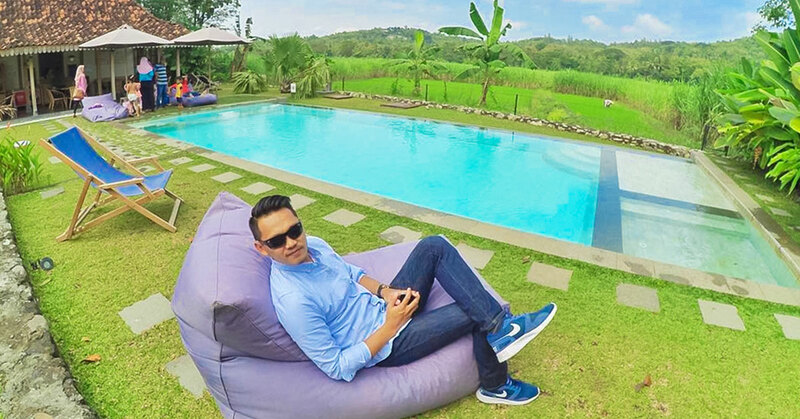 Trod through the paddy fields, and in the middle of it all, you’ll find this exclusive resort where you can escape from the crowds. 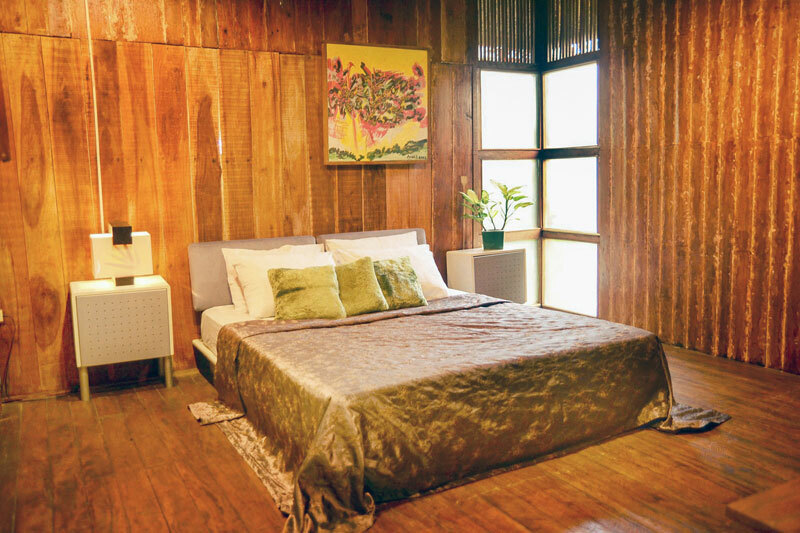 There’s a rustic charm with a dash of modern amenities, such as a pool and a spa. 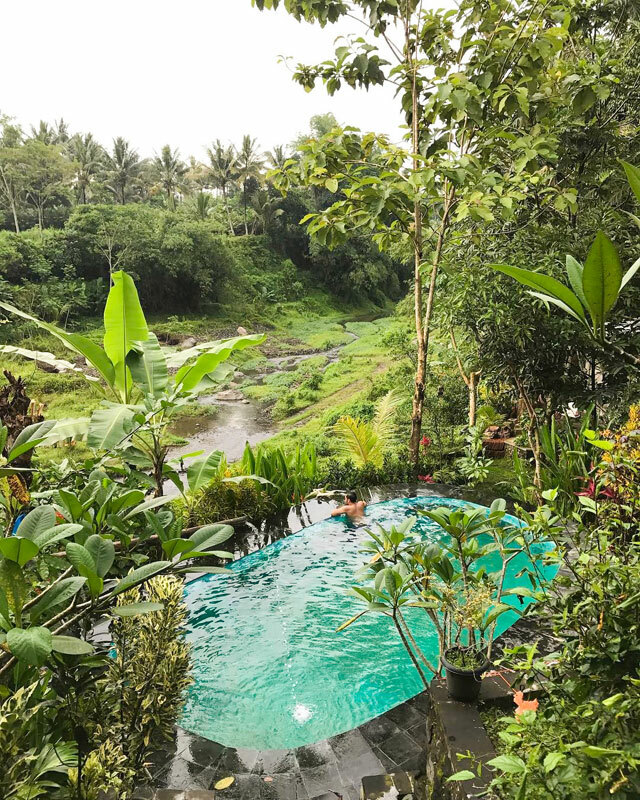 Its bamboo and wooden interiors creates a traditional and back-to-nature ambience, and you’ll find peace simply by listening to the small stream running alongside the pool. 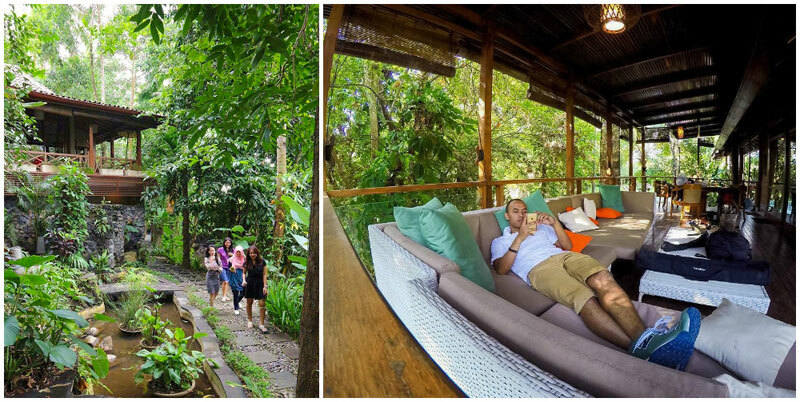 So spend time to relax and take a break from your hectic everyday life. You might feel like you are far away from civilisation, but you are actually just 16 kilometres away from the city centre! 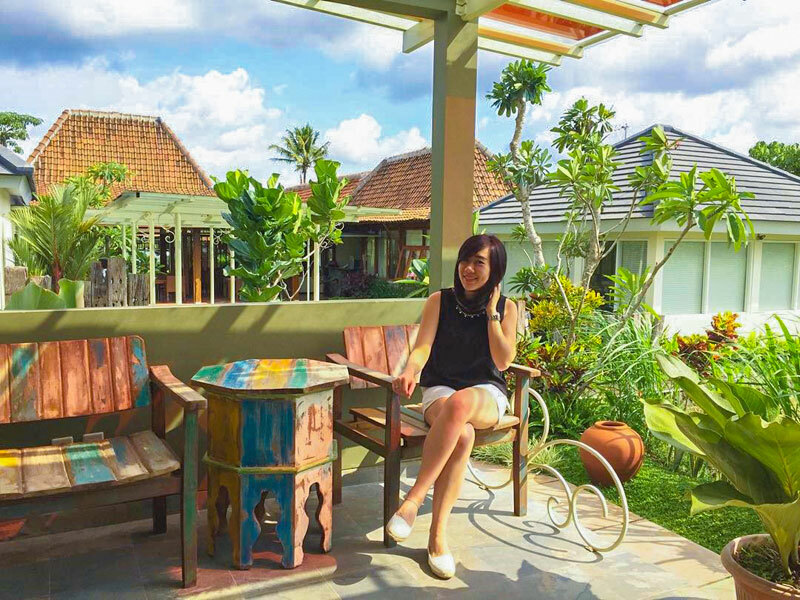 Located in the middle of the vast green rice fields of Yogyakarta, you can wake up in the morning and enjoy a quiet morning coffee with the peaceful view. But just because you are in the heart of nature doesn’t mean you can’t swing back to the city when you have to. 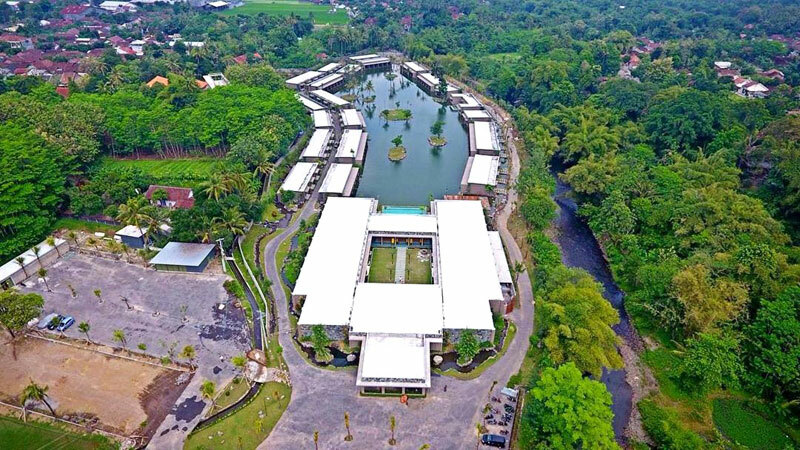 Just 11 kilometres away from the city, the resort is your best bet if you need to grab something quick before escaping from the hubbub again. 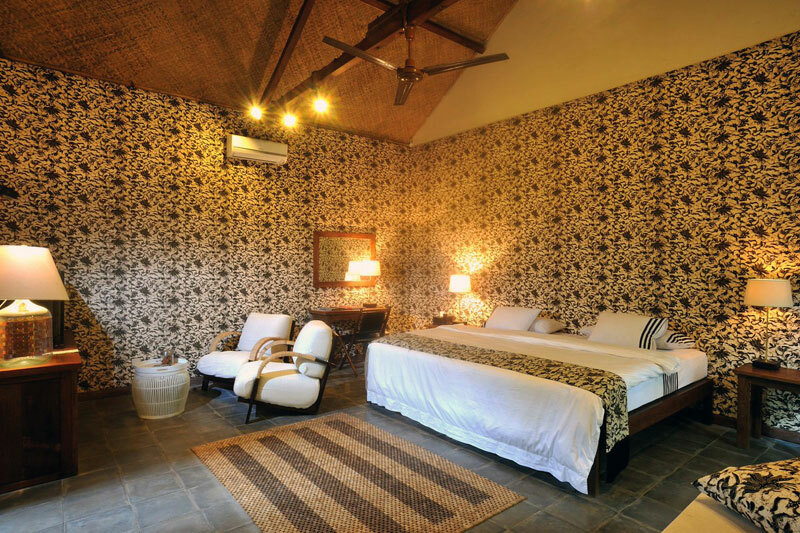 Book a deluxe room or an entire bungalow, and take the family along for a reunion! 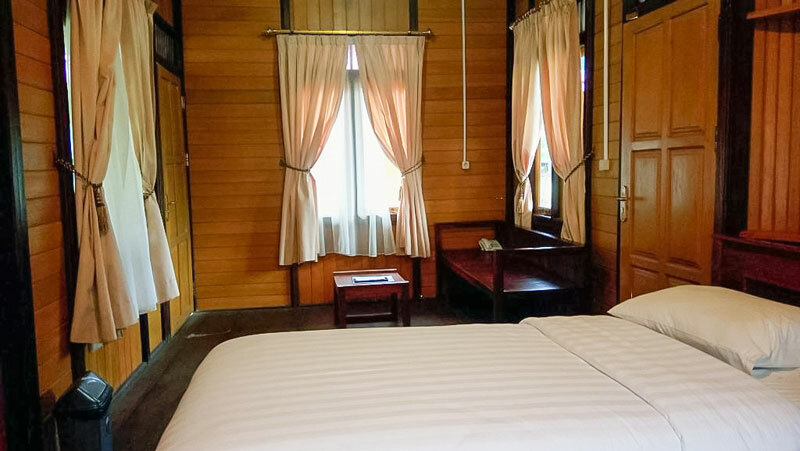 The huge bungalows can accommodate up to 9 people. Love art? Check out the paintings and artwork in the gallery. 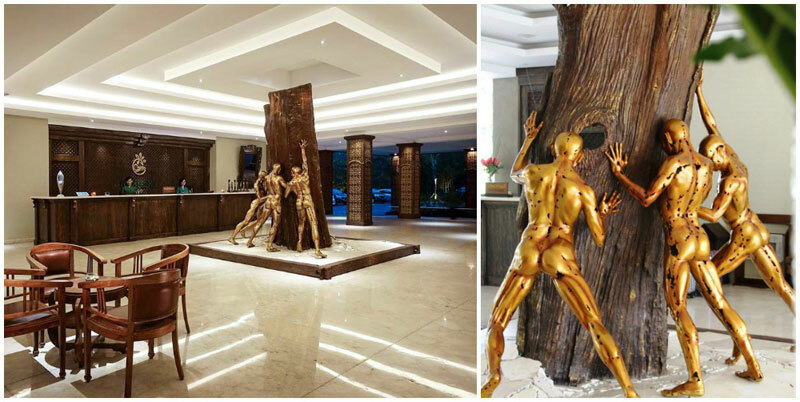 If you particularly like a piece, you can buy it and bring it home with you! Do you love art and history? 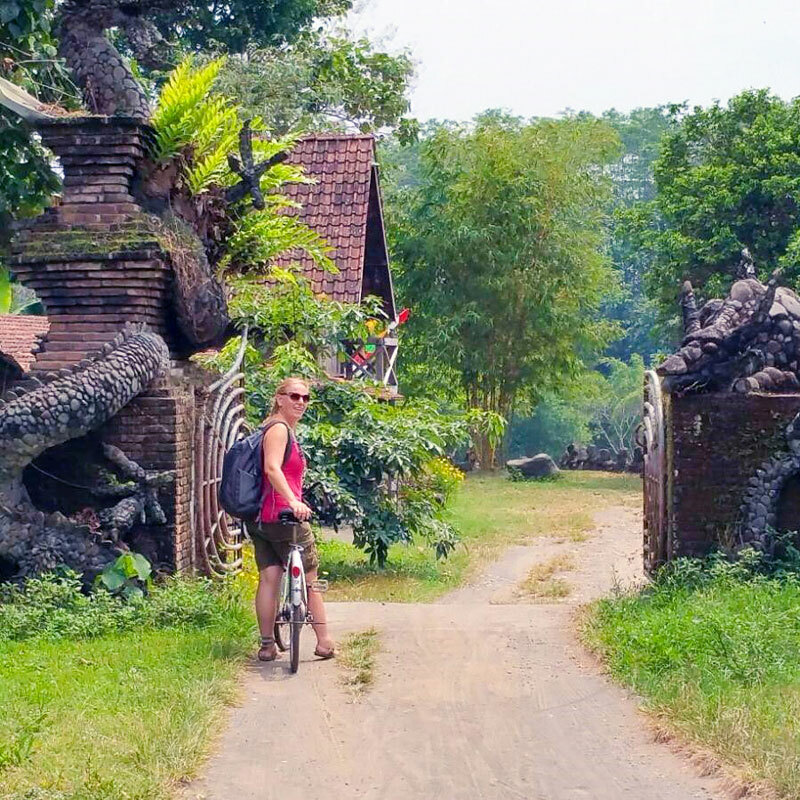 Eloprogo Art House is just 4 kilometres away from Borobudur Temple by bike, and you can even borrow bikes from the hotel for free to explore on your own! 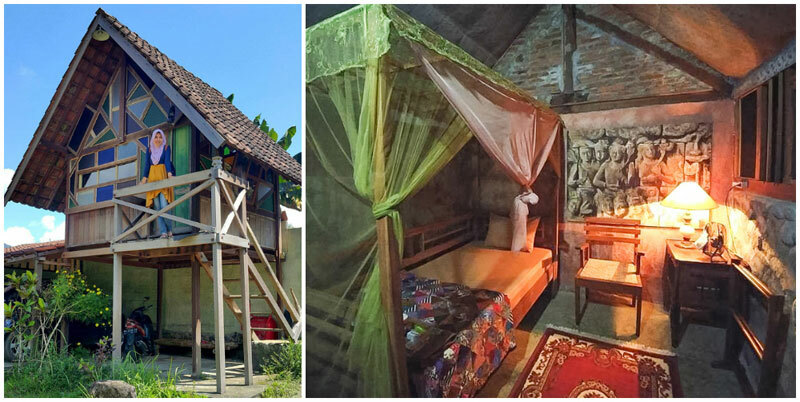 It’s so near, it almost feels like you are living in the backyard of the mystical temple. 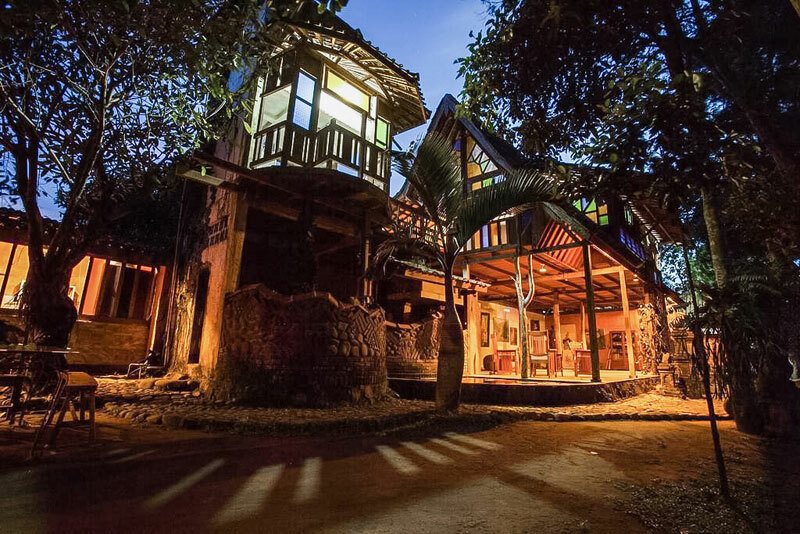 The hotel itself creates a mysterious vibe – tinted glass, rustic architecture and earthy surroundings make you feel like you are on a short Indiana Jones adventure. 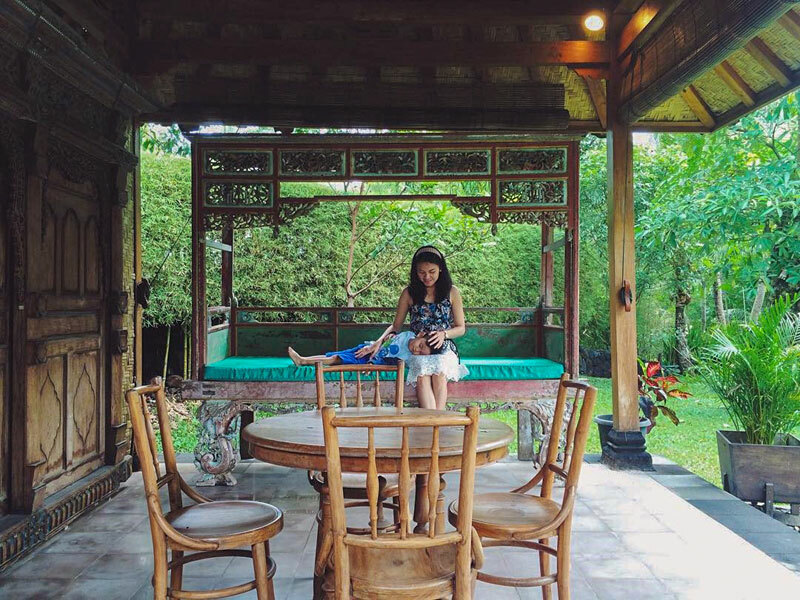 You’re in luck if you are a foodie – dig into authentic Indonesian delicacies, and you can even whip up your own dish in the equipped kitchens in some units. 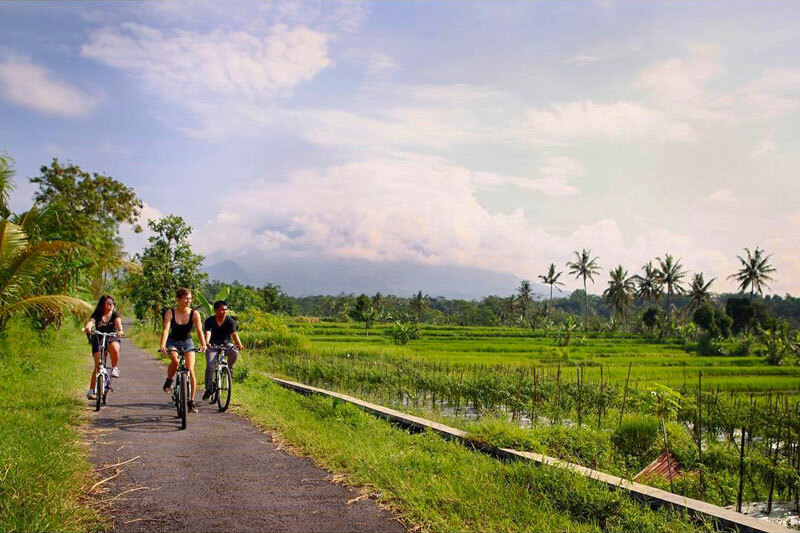 Take it slow and enjoy the exotic scenery, the charm of Borobudur and the looming hills. That’s how you should be enjoying your holiday! 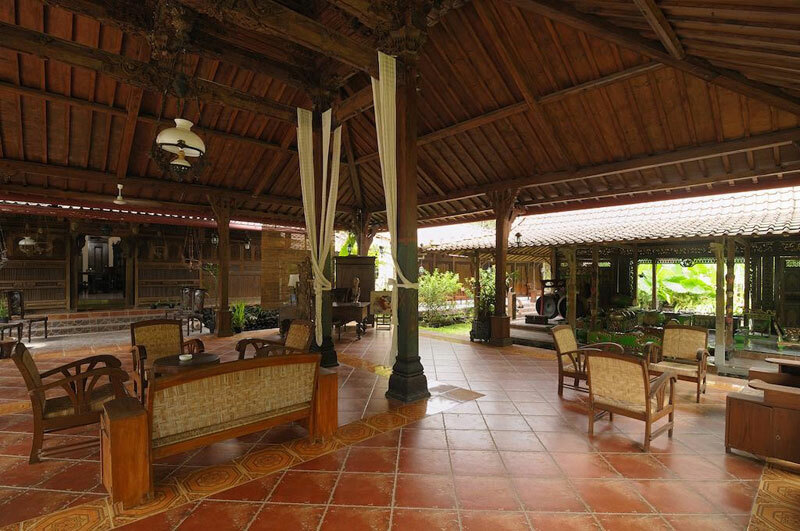 If you are feeling too lazy to venture far, Hotel Puri Asri gets everything right on its premises for you! 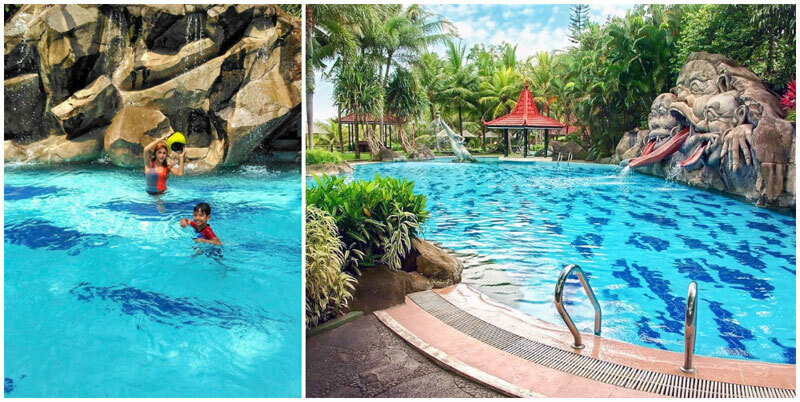 Immerse yourself in the natural surroundings, with all-round greenery, large pools and even mini adventure games for you and your friends and family. 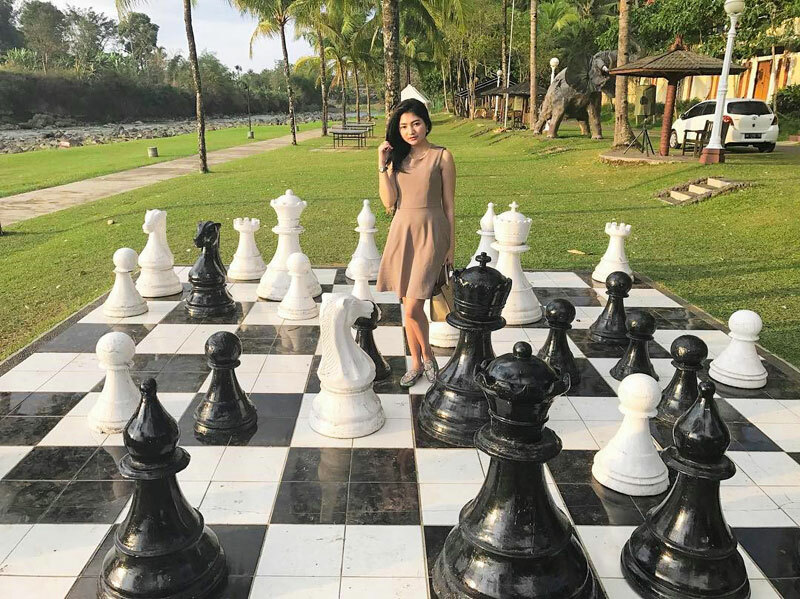 Just walking around the premises will make for a great experience, because it is so huge, there’s something interesting in every corner, such as a giant chess board you can pose at or a little stream that passes through the hotel itself. 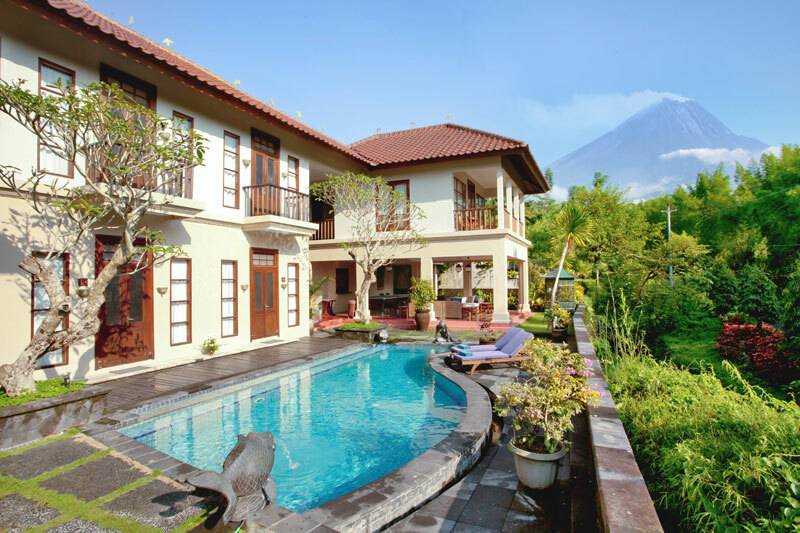 Marvel at the charm of Javanese hills, Mount Merapi and Sumbing, but after it all, if you still have the appetite to explore, Borobudur is just a 20-minute drive away! Has all the adventuring been too overwhelming? Let’s go unwind at the spa and sauna. 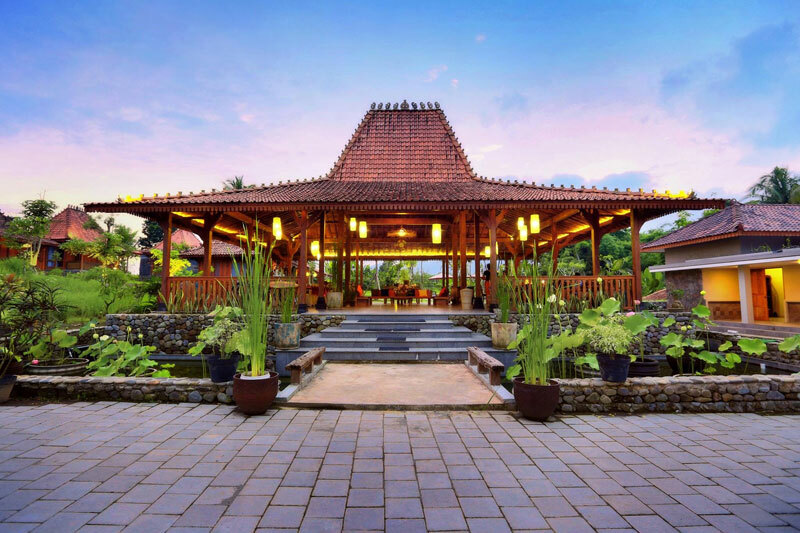 Located just a stone’s throw away from Borobudur and Mendut temples, this nature resort not only surrounds you with lush greenery, but rewards you with Javanese hospitality. 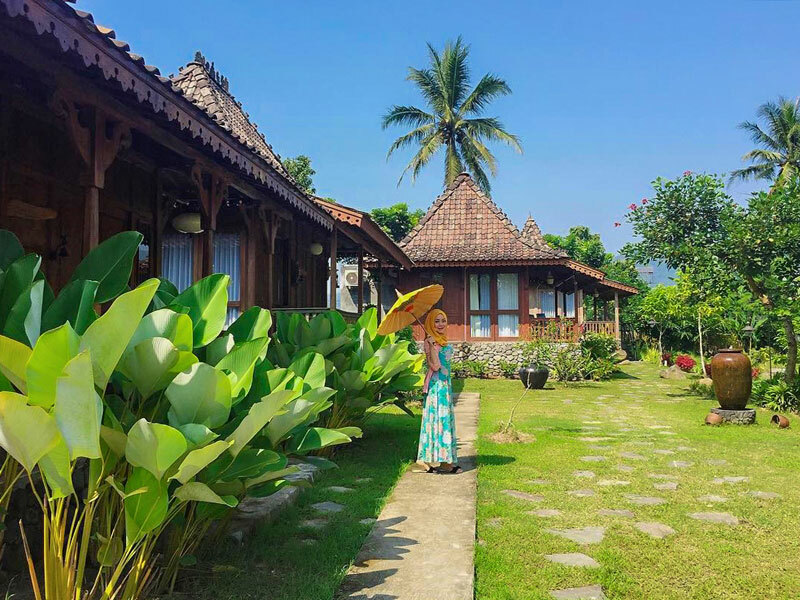 You can simply spend your day exploring the world-renowned Borobudur and return to your own traditional Joglo, where you can relax in comfortably and bask in the rich Javanese culture and history. Feeling fidgety? 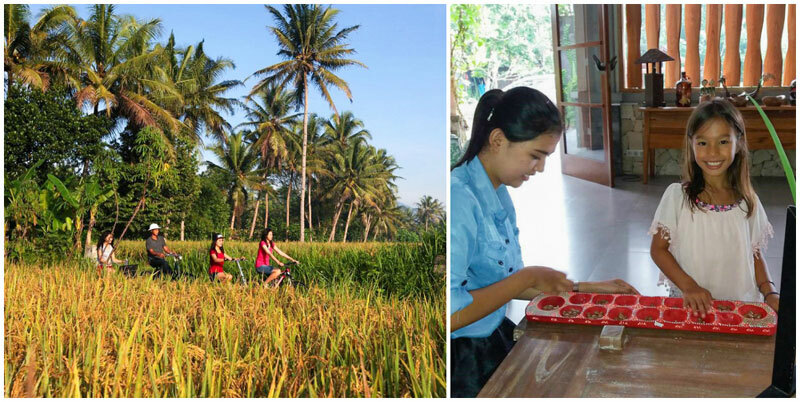 Why not learn traditional crafts at the local villages? 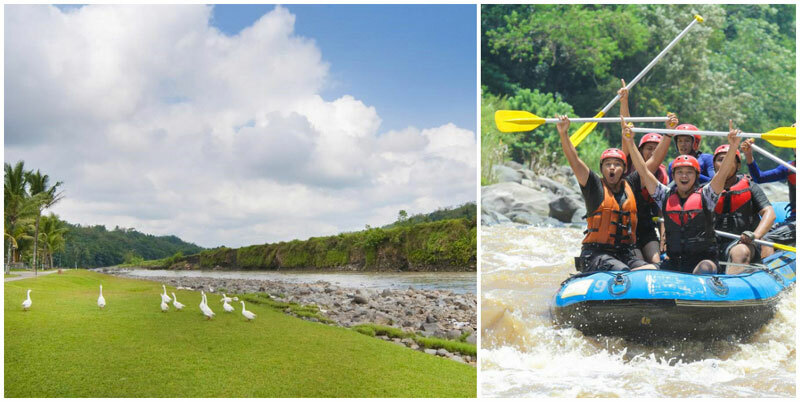 Or try rafting or cycle through the green fields? 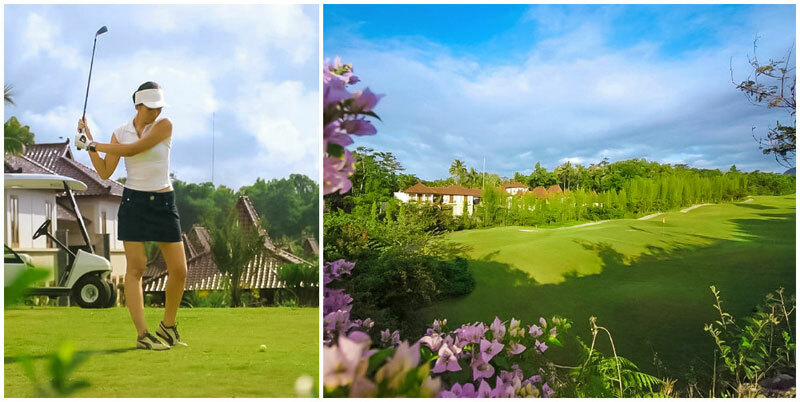 As you breeze through the paths surrounded by quiet greenery lit up by the evening sun, you’ll find yourself slowing down and breathing in the beauty of nature. Do you love the music of the rushing river? 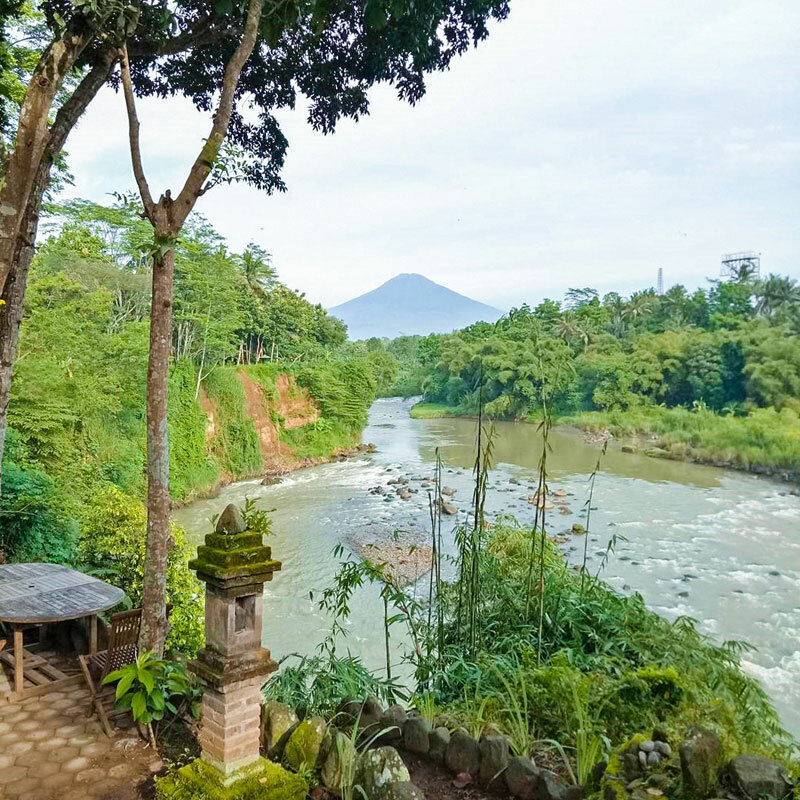 The name of this hidden gem speaks for itself – you’ll be staying right by the river, surrounded by lush greenery, cool breeze and Mount Merapi in the distance. So you can expect to be completely encircled by nature. Here, you can expect no receptionist to greet you when you arrive. 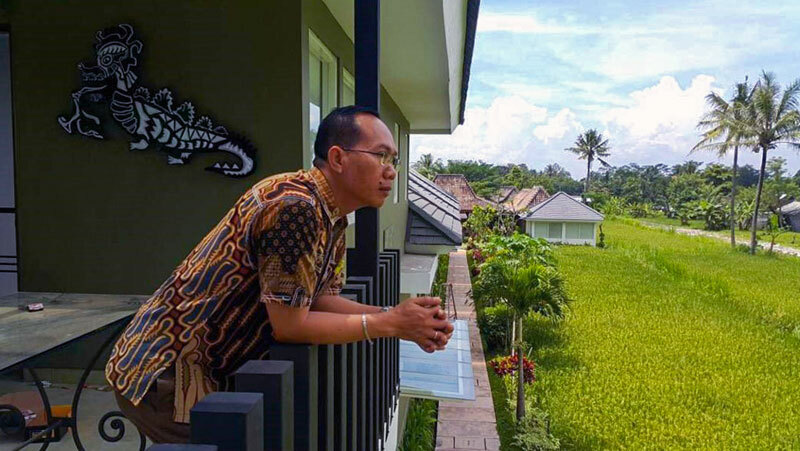 No, the hotel owner will welcome you personally, as though you are an important guest at his home. 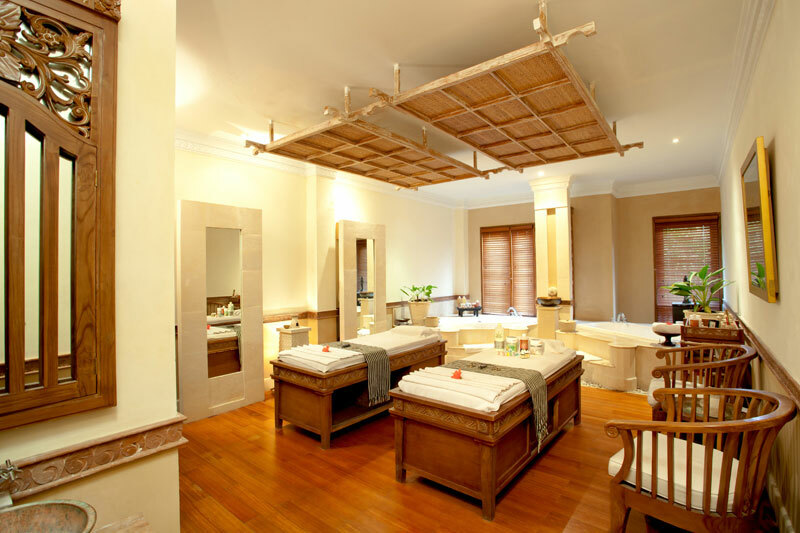 And when you have such personalised treatment, you know that rooms are going to be scarce (there’s only 5 rooms, so do remember to book in advance). 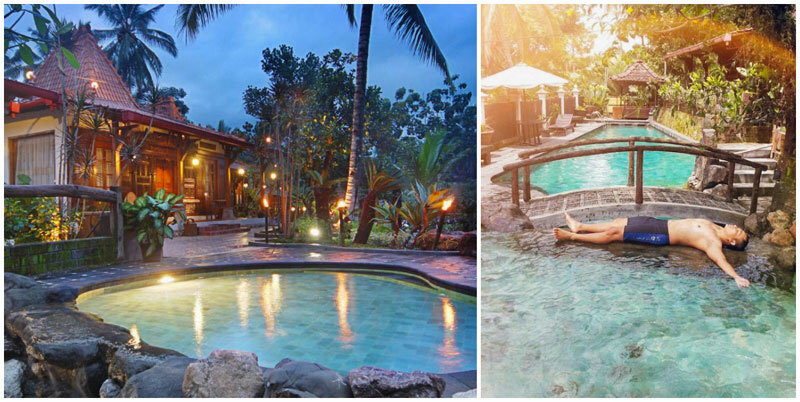 What can be more therapeutic than soaking in the pool while overlooking the flowing river? 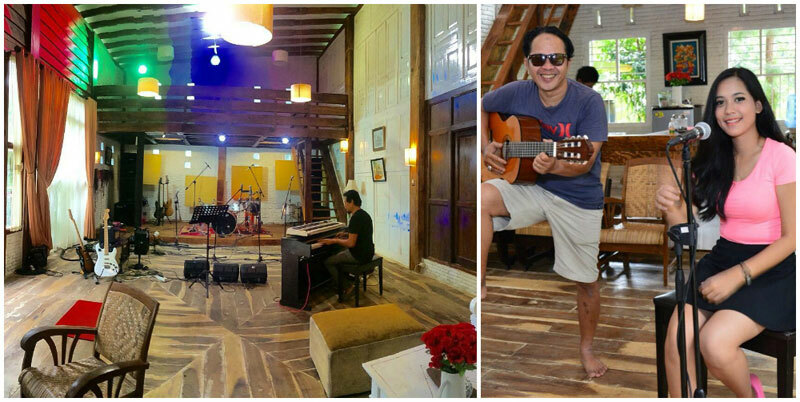 Or opt for a jamming session with your buddies! 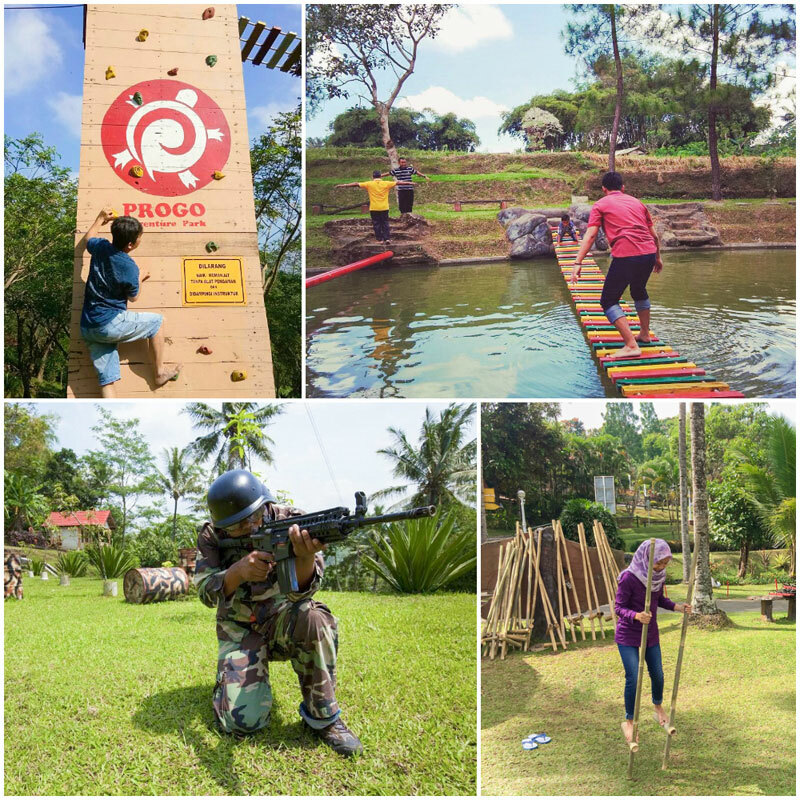 There’s even a playground to keep your little ones entertained while you have fun! 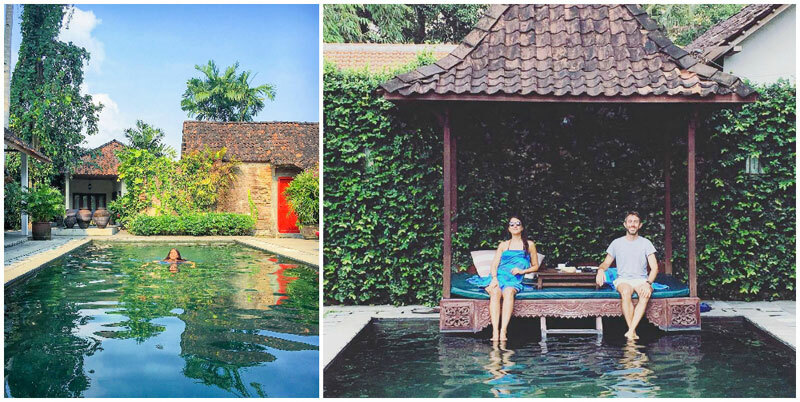 Don’t we all love holidays where we can enjoy luxury on a budget? 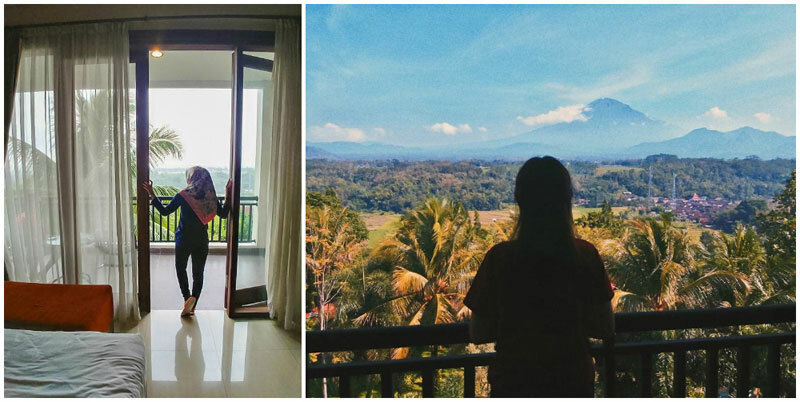 Are there any more affordable hotels in Yogyakarta where you can enjoy lovely views from? Do comment and share with us!